TOP STUDENTS DON’T WANT TO TEACH (Updated) | Thoughts of a Calabarboy. 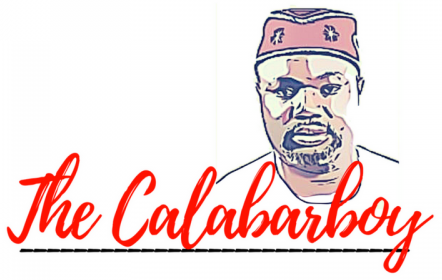 TOP STUDENTS DON’T WANT TO TEACH (Updated) – Thoughts of a Calabarboy. It’s not high pay for teachers, since Finnish teachers are not paid particularly well, and the countries that do pay their teachers the most (Spain, Switzerland, and Germany) do not perform as well. It’s not more years of schooling, since compulsory school education starts at grade 1 (age 7) and ends in grade 9 (age 16), after which virtually all (95 percent) of Finland’s students voluntarily attend either upper secondary academic school (headed for university) or upper secondary vocational school (headed for the workplace or to further higher education in polytechnic institutes). It’s not small class sizes, since Finnish classes are often 30 students with only one teacher (and few specialists, and the teachers are expected to teach all skills and subjects). So what does the McKinsey report conclude on the success of the Finnish education system? According to Patrick Bassetts, three things are done by the Finnish. (1) Get the best teachers (2) Get the best out of these teachers (3) Step in aggressively when students start lagging behind. I just had a Facebook message exchange with my Finnish friend Katja Virolainen, were I asked the question on how they attract the best teachers. Her reply was a similar to what the report says and that is “In Finland it’s always been that teachers must have a master’s degree, that is about 5 years in a university. All the people who have a master’s degree are very much respected and considered very hard-working and intelligent. The education in Finnish universities is high quality that makes good teachers. You can see the quality of teaching in a classroom in a primary school anywhere in Finland.” You see, apart from the fact that all teachers must have a master’s degree, the education ministry deliberately limits those who are offered teaching positions to the top 10% of a graduating class. The move practically increases the attraction to the profession since it is for an anointed few, and this makes teaching very prestigious even though they aren’t paid as much when compared to several developed countries. It is very clear that it is the quality of teachers that determine the quality of education. There is no circumventing that. But the challenge is that with economics trumping passion, this is a very difficult argument to make, especially in developing countries where we still hold in high esteem the time old model of “work hard ->do well ->go to college ->get a job -> escape poverty.” So there is a path that lies ahead on what to do, the challenge is if we can get willing leadership to articulate a careful plan on attracting the best minds into the classroom. In the past two years, over a 100 countries have sent delegations to Finland to study how their model works. So many are learning and we must also. But beyond the obvious also lies the other implicit factors that push these successes to global recognition. These factors are not learnt, but internally generated. I will leave you to guess what these are. By the way, I may still come back and update this particular blog if I find something more exciting. Oh I am coming to that as an addendum to this blog. I just saw the statistic and felt like making a general comment on it. Will be back…trying to read up on it. I teach students and I really enjoy it but I don’t think it’s something I can do full time reason being; am not sure I want to be in the company of really young people all day. I like the older generation! One issue that always baffles me is the lack of skilled labour presently in my environment. To get a plumber to fix a broken tap, a carpenter to adjust a distorted frame in the house, the list goes on. I wonder if we can ever have a national skills training institute that trains and retains skilled workers (plummers,tailors/fashion designers, welders, carpenters, mechanics, etc). Anyone nationwide can call their state branch to get this specialised services and these people are paid fully for the service they render. We need to package that program to look attractive. Likewise the Teaching profession because outside ourselves, even our family may not be too proud to tell people about us being in that profession! But what am i talking about, even the Polytechnic is looked down on beside the University! I think our sense of value has been lost. Most of our judgement is based on monetary gain or value. We need to be ‘reprogrammed’ to think about adding value and fulfilling our personal purpose for life. There are too many bad examples around that overshadow the worthy ones, its discouraging to the upcoming generation as most of us know only as far as we can see with our physical eyes. Would like to know too how Finland got through, Reginald. Perhaps we cant get through to our Promised Land in our own generation but the earlier we start, the better. Thanks Reg, i like the fact that the McKinsey report states that its not about money or more years of schooling for the student ,cos sometimes i compare what i learnt in my five years at the university in Nigeria attempting to study law( note the word “attempting”) with what i learnt in one year of study under d tutelage of passionate teachers both at Law school and in England. The difference is unmistakably clear. I also smile when i say im a teacher and get queer looks.In fact at a gathering after general introductions, a friend of mine said i should have declared my acquisition of a law degree before i boldly announced that i was a lecturer. But hey,thats the way she has been programmed.It would be a shame though, to sit around waiting for my country’s government to wake up to the reality of Finland’s strategy n implement same as that might take…quite a while. One teacher made a difference in my life n made me realise just how much influence and responsibility teachers have subsequently spurring me on to teach . In that same way ,i intend to be a reference to a student n spur another excellent student to teach. Its really a chain reaction. An “internally generated” and honorable chain reaction. We sometimes shirk responsibility by insisting the economy does not encourage teachers n while this is true to some extent ,economics can only trump passion if we let it. i mean, what are we supposed to tell the minds we teach… “Aspire to impact ur generation but bear in mind there will come a time when the economy will cause you to drop ur passion in a quest for survival and there is nothing you can do about it”? Definitely not! I’ll say ” sit down and think! There is always an answer…Always.” In my case my answer was to find a million other ways to create wealth with what i had so i could teach without necessarily relying on the government and the economy and if you look for it hard enough,you’ll find it. Economics trump passion?…only if you let it! I smell deeply your passion for your duty, which I entirely admire and infact will love to court you on an ongoing project we discussing. However, individual passion is not enough medication for a national disease. A concerted effort must be made by leadership to scale policy that will address this issue at its foundation. It may take a 1000 years for the ignition of passions to start a wild fire that will burn down illiteracy. So while these comments are to point out the issue, like you I will not feign any near influence at power to address this. But if we raise the roof on these, perhaps someone will hear us and invite us to the table in discussing how we can bring about broad range changes to our educational system. I just came across your blog today and have read several articles which they were all interesting. I’m replying to this particular one because I have chosen to focus in being a lecturer back home in Kenya although I had to turn down the offers from industry. I believe Africa overall needs more quality education especially in science and technology. Most universities are struggling with high qualified lecturers. Kenya for example has recently started relying on fresh bachelors graduates to teach some courses!!! one particular of some students who always uneasy about those upcoming test. our goal related getting most recent customers along and creating as with ease as possible.